The US industrial designer graduated from the Art Center College of Design with honors in 1962. From 1962 to 1967, he was a staff designer for General Motors Corporation, where he worked on the design of Frigidaire home appliances, special projects and the New York World's Fair (1964). In 1967, Staley became senior design section manager of corporate industrial design for the Ampex Corporation, and from 1971 to 1997, served as manager of corporate industrial design for Ampex with a broad range of domestic and international responsibilities. In 1975, he became an active IDSA member, chairing committees and serving as Western District Vice President and National Secretary/Treasurer. 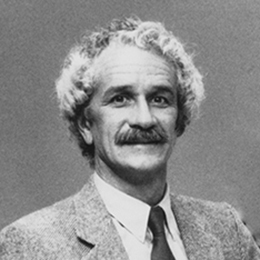 He was elected to IDSA Fellowship in 1986. In 1988, he was an IDSA delegate for the signing of the USA/USSR Agreement of Mutual Accord, and an IDSA representative to a USA/USSR exchange with design colleges in St. Petersburg, Tiblisi and Moscow Universities. Staley was awarded more than 19 U.S. patents, and received many design awards from 1973 to 1996. In 1992, he opened Darrell Staley Industrial Design in Santa Clara, CA. He passed away from cancer in November 2015 at the age of 78.